High quality steel body design. For press-fitting and pulling bearings. Model AP-2 MPN 176503 Brand Kaka Industrial Capacity(ton) 2.0 Max. Height&Dia(mm) 180x123 Largest arbor(mm) 40 Ram square(mm) 32x32 Press Ht(mm) 445 Base size(mm) 432x260 Packing size(cm) 46x20x46 N. W(kg) 36/38 UPC 745369240789. KAKAIND AP-2 2 Ton Cast-Iron Arbor Press, 7 Height Heavy-Duty Arbor Press. A Company Delivers High Quality Machines With Lowest Price Possible. Kaka Industrial LLC focuses on the machineries and tools for the smaller cabinet and machine shops. We select the quality products from reputable manufacturers and sell to the user directly. We can provide you the high quality products with the lowest prices possible. Our goal is to deliver more value to our customers as well as this market. Your Satisfaction is Always Our Priority. About KAKA Industrial: A Company Delivers High Quality Machines With Lowest Price Possible. Before you return the item, please let us know first in order to make the return fast and effective. KAKA guarantees 1-Year Product Warrant. KAKA warrants every product that sells. If any of our tools need to be repaired, we will send it to you right away. Combination Shear Brake & Rol. 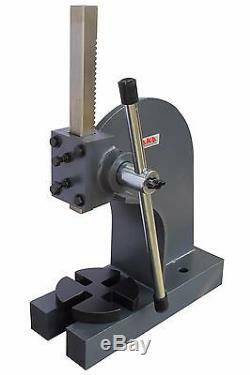 KAKAIND RM-18 18 Sheet Metal Fabrication Bead Roller, Rotary Machine. KAKA W01-1222, 12-In Slip Roll Machine, Solid Sheet Metal Slip Roll Machine. KAKAIND W1.2x760 30 Sheet Metal Bending Brake, 18 Ga Mild Steel, 16 Ga Aluminum. KAKAIND SG-18 Metal Shrinker Stretcher, 16 Gauge Mild Steel Shrinker Stretcher. 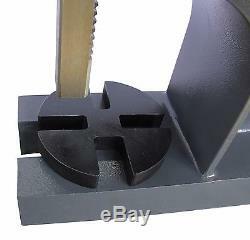 KAKA Industrial HS-10 10-Inch Sheet Metal Plate Shear with Long Steel Handle. KAKA HS-500 20x16 Manual Guillotine Shear, Metal Plate Cutting Shear With Stand. 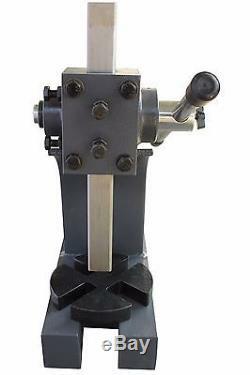 Kaka AP-1 Arbor Press, 1 Ton Cast Iron Arbor Press, 4 Height Heavy Duty. Kaka AP-1/2 Arbor Press, 1/2" Ton Cast Iron Arbor Press, 3" Height Heavy Duty. 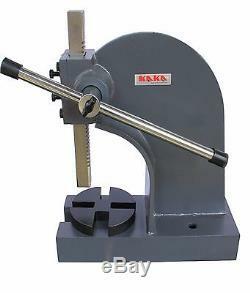 KAKA Industrial YP-9 Bench-Top Metal Bender, Compact Metal Bender with 7 Dies. KAKA MMS-4 Multiple Purpose Bench Top Throat less Sheet Metal Shear. The item "KAKAIND AP-2 2 Ton Cast-Iron Arbor Press, 7 Height Heavy-Duty Arbor Press" is in sale since Monday, April 11, 2016. This item is in the category "Business & Industrial\CNC, Metalworking & Manufacturing\CNC & Metalworking Supplies\Equipment Specific Tooling\Fabrication". The seller is "kakaind" and is located in Norcross, Georgia. This item can be shipped to United States.